Kyle Winston, co-founder and President of CRU, started the Catastrophe Response Unit operations in 2008 after having worked various adjusting assignments for more than 15 years. Kyle is responsible for the strategic direction across all business lines for CRU, Inc., which now include CRU Adjusters (Cat and daily claim support), CRU Environmental, AIA Centers, and Maltman’s International. Over the years, Kyle has mastered quality assurance coordination, disaster supervision, project management, and claims business unit direction. Cross-trained in Personal, Commercial lines, Property and General Liability, he obtained his Bachelor’s Degree in Political Science from the University of Western Ontario, and then a second degree in International Relations from Huron University Collage before starting in the industry. As the “lighthouse keeper”, Kyle has lead CRU’s business model to achieve 8 years of continuous growth and success across North America. Being an independent catastrophe adjuster is not easy. You get phone calls in the middle of a family celebration and are asked to drop what you’re doing, pack your equipment and head 4,500 km to work field claims in a different country, in an area you have never been to. There’s never a guarantee if you will be there for four weeks or four months. They needed you there yesterday so before you’re out the door they are loading 70 claims into your system for you to handle to completion. Few insurance companies use the same systems, platforms or software, and if they do, their note requirements, SLAs, file and service requirements are all different. But you’ve been in the adjusting world a few years and you hope the new system skills you mastered from working for three different companies last year will pull you through. So, the coveted tickets you might have had to game 7 now become the best gift you’ve ever given your buddy. But, you understand that the opportunities are not always there, and this could be the only time you get to load your bank account for a few months. You gamble. You take a chance; you make the trip and pray. Pray that the conditions, the expectations and the compensation are going to create a positive experience. No guarantee, but you pray. 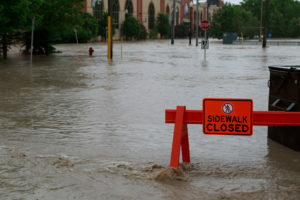 Being involved with catastrophe response and deployments in Canada for nine years, I have seen thousands of adjusters come to work for hailstorms, fires, floods and wind events. For some adjusters it was too much, for most it turned out to be a positive experience. We’re fortunate that just talking with Canadians and experiencing the True North always makes a positive impact. Our company is currently wrapping up our support for a number of Canadian carriers who had huge claims spikes from the May 4th windstorm across Ontario. With more than 300 adjusters working this event, we are evaluating the people that did good work, the ones who understood what the company was asking and went above and beyond to deliver. Our management takes pride in recognizing and thanking those good adjusters in the hopes that they will want to come back and work for us again. One gentleman named Bill Mays was in that group. His stats were excellent, his notes told the story of the claim, his service to the customer was flawless, and his estimates were spot on. Before I had a chance to meet this man and personally thank him, I received an email from the payroll group that Mr. Mays was asking to have 100% of his earnings sent to non-profit group called Medical Relief International. No one in our company had ever seen any request like this before and we were all curious why the request was made. I arranged to speak with Mr. Mays the next day. We sat down and chatted for a few minutes and I told him how happy we were with his work. We then discussed the strange request on where to send his earnings. Well, Dr. Bill Mays is not only a great catastrophe adjuster; he is also a dentist living in Washington State. In his spare time, he is the Field Director for MRI, building hospitals in East Africa and the Philippines. Medical Relief International is an organization that through volunteers exists to provide dental, medical and humanitarian aid for the benefit of all people in need. Bill helps build hospitals (currently in Africa), then with many other volunteer doctors and dentists, he provides key dental services to people he’s never seen. Turns out he, his wife, and children have been doing this type of work for years. Who knew? 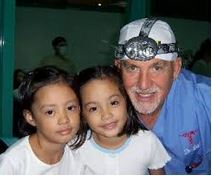 Dr. Bill Mays, the catastrophe adjuster, the philanthropist, and the dentist, is a quiet humble man, a man with a purpose. Everything he does to fulfill his need to serve, he does with gratitude and excellence. I don’t know that we’ll ever have the honour of having Bill on our team again, but rest assured he will be on the top of the list to be invited whenever we have work. We need more Dr. Bill Mays’ in our world, regardless if they climb damaged roofs, adjudicate claims, or serve selflessly on the other side of the globe.